It can be difficult to find good local Domestic Appliance Repairs. All Domestic Appliance Repairs on TrustATrader are vetted and reviewed to help you find the best trader for the job. Are you looking for a local person to repair faulty or broken domestic appliances? Let Trust A Trader help you to find family-run domestic appliance specialists near you. Modern society is such that, rather than patch or repair faulty or broken goods, we are used to throwing them away. However, if you have a domestic appliance, it is worth trying to get it repaired first; your wallet and the environment will benefit. From toasters to white goods, we tend to rely on our domestic appliances on a daily basis. And the likelihood is that you will only notice how much you need your washing machine when it is broken! If a domestic appliance breaks down, there is a strong chance that you will need to get it repaired as soon as possible. Too often, we hear of people who have contacted the first gas oven repair or washing machine repair specialist they could find, only to be presented with an extortionate call-out fee, or to be told that their fridge can’t be fixed. Our traders are as honest as they are skilled: if it can be fixed, they will do the job properly. Here is a selection of reliable Domestic Appliance Repairs located across the United Kingdom. If you're looking for local Domestic Appliance Repairs near to you, please enter your location into the form field above to refine your search. Domestic Appliance Repairs in Salisbury, SP4 6EB. Covering all SP postcodes. 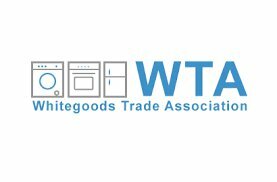 Looking for some help and advice in relation to Domestic Appliance Repairs? Check out some of our most recent helpful information about this trade. All our traders are vetted before they become a member. Many of our traders have certain qualifications/associations to help meet our high standards. Here are some these in relation to Domestic Appliance Repairs. To encourage the traders listed in our directory to maintain our high standards of professionalism and quality, we encourage them to maintain membership of relevant professional bodies. Just look for the logos on each trader’s individual profile. At Trust A Trader we don’t just want to help our customers, we want to help honest local traders, too. If you are a domestic appliance repair specialist, get in touch to find out about bespoke insurance policies from TrustATrader Insurance. We take the time to tailor the package to your needs so that it is comprehensive, affordable, and you don’t end up paying for services that you don’t need. You can also get contents insurance for your home with TrustATrader Insurance, get a quote today!